Ritter Forest Products is a company that specializes in providing crane mat sales and rentals to those living in and around Corpus Christi, Texas. Whether you own a construction company and are interested in purchasing crane mats from us or you are in the middle of a job in Corpus Christi and realize that you could benefit from laminated and timber mats for rent, we can help. We also offer pipeline skids, shoring materials, and other products that will keep your job site safe and allow you to work as efficiently as possible. At Ritter Forest Products, our crane mat sales and rentals include standard-sized hardwood crane mats that are ideal for many construction jobs. However, we realize that many of our clients prefer custom cut mats and timbers that are a certain size for specific jobs. We can cut custom mats and timbers to be whatever size you need. Do you want to make your Corpus Christi, Texas job site significantly safer and protect your heavy equipment, as well as your employees? 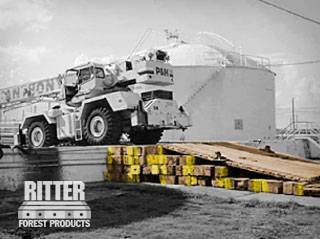 Ritter Forest Products has crane mats that are designed to perform under even the most extreme conditions. You won’t have to worry about encountering any issues with your equipment when you come to us for crane mat sales and rentals. Ritter Forest Products stocks crane mats made out of many different materials. Our timber mats are some of our most popular options because of what they offer to our customers. They are very strong and very sturdy, and are designed to handle whatever you throw at them. While all crane mats that we offer at Ritter Forest Products are durable, our laminated mats are more convenient for those who have lighter load demands on their job site. Both laminated and timber mats for rent will get the job done, but our laminated mats are often easier to maneuver for those who plan on moving them around on a regular basis. The 3-ply laminated mats available through Ritter Forest Products are made with 2x8s, and they can have either cables or chains attached to them if you want to use them for lifting materials up. 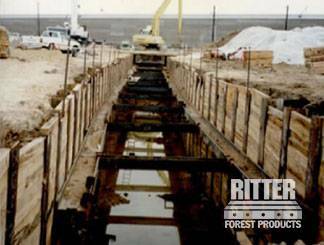 The pipeline skids that Ritter Forest Products has in its inventory in Corpus Christi, Texas are made out of oak timbers and they are full cut. You can purchase them by either the bundle or by the truck load, and our pipeline skids are great for carrying out tasks like racking or elevating a pipe during the construction of a pipeline. Do you need to stabilize a structure with shoring or support a wall or a piece of equipment with cribbing? 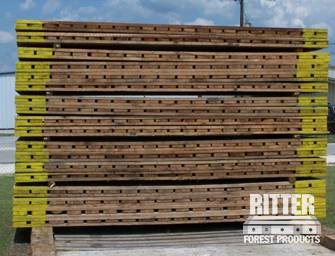 Ritter Forest Products has the materials that you will need. Our shoring and cribbing options can be cut to your exact specifications so that you can start using them right away. 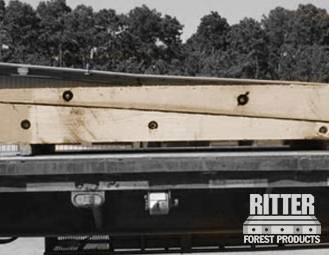 The next time you need help with crane mat sales and rentals, we hope you will call on Ritter Forest Products. From laminated and timber mats for rent to pipeline skids for sale, we want to be the go-to source for crane mats in the Corpus Christi, Texas area. Give us a call at 361-371-4320 today to see what we can do for you.